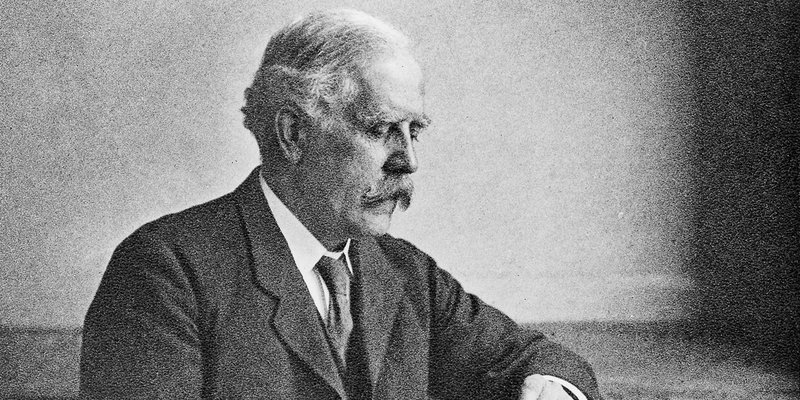 In 1902, Dr. Archibald Garrod, a British physician, first hypothesized that disease might have an inherited genetic component when he discovered alkaptonuria, an obscure metabolic disorder that affects joint cartilage and connective tissue. It took decades for scientists to prove his suspicion. In 1972, the Stanford laboratory of Paul Berg performed the first true genetic engineering feat by splicing recombinant DNA, for which he was awarded the Nobel Prize. Since then, genetic engineering and gene therapy technologies have made tremendous advances in providing treatment for those who suffer from genetically-related disease. These new technologies offer hope for many whose only current source of treatment is palliative care. Gene therapy also has the potential to eliminate different forms of inherited genetic disorders, especially those caused by the mutation of one specific gene. Gene therapy is a complicated field on many levels. One premise of early gene therapy was to either knockout or mutate the DNA of “bad” genes. Scientists had done experiments on mice for years to understand how silencing specific genes might affect gene expression. It was hoped that these experiments would easily translate into the treatment of human disease. Unfortunately, they found that gene expression is more complicated across species and species subsets than just the activity of one individual gene. This was shown most recently in a study published in Science involving 3,200 British Pakistanis. Over a quarter of those studied were missing rare genes that scientists would have expected to be associated with biological function. As it turned out, in a significant number of cases, those with missing genes displayed no sign of disease that the same knockout would have produced in laboratory mice. Traditional gene mutation and knockout approaches have problems with safety, effectiveness, and precision. As scientists have become more aware of complex genetic interactions, the determination of how the absence of one gene will affect overall function is no simple task. Furthermore, simply inserting a new gene in place of the old gene will not necessarily turn off dominant expression or erase incorrect genetic material. Such procedures can also create unwanted immune responses by the body. The death of eighteen-year old Jessie Gelsinger in 1999 continues to serve as a cautionary tale that the medical and science community must not tamper with the human genetic code in a cavalier fashion. Gelsinger had a well managed but incurable metabolic disorder where the deficiency of a particular enzyme caused ammonia buildup in his body. He volunteered for an experimental trial where his liver was injected with an adenovirus containing a vector the doctors hoped would correct his enzyme gene mutation. Unfortunately, he suffered unexpected side effects that led to multi-organ system failure, and ultimately, death. Gelsinger’s tragic death was a hard stop for researchers. Perhaps successful gene therapy would not just be as simple as gene insertion and deletion. The field of gene therapy also contains its own set of unique ethical dilemmas. As progress in this area develops, continued dialogue and regulatory action are needed when wrestling with questions such as privacy and confidentiality, cosmetic gene therapy, and accessibility of treatment to a variety of patient demographics. Furthermore, enhanced education for the general public is needed to help ease common misconceptions about genetic engineering. But despite the complex nature of gene therapy, and its sometimes bumpy road in the past, real medical victories are coming to pass. The development of genetic editing tools like clustered regularly interspaced short palindromic repeats (CRISPR)-Cas9, Tal effector nucleases (TALEN), and zinc-finger nucleases (ZFN), are offering potentially safer, target-specific therapy solutions. Instead of simply subbing genes in and out, these “molecular scissors” permit a mutated gene to be corrected to code for normal function. Last year, little Layla Richards was successfully treated for acute lymphoblastic leukemia when her doctors injected her with TALEN-edited immune cells from a donor. These “borrowed” cells recognized the CD19 proteins that are on the lymphoblastic leukemia cells and attacked them, eventually eliminating them completely. Now, over a year later, Layla is still in remission and doing well. Other gene therapy treatments are progressing forward with researchers feeling cautiously optimistic. Last month, the Salk Institute announced success in using CRISPR to alter DNA in non-dividing retinal cells, which helped restore some measure of vision in adult rats. Until now, editing DNA primarily targeted cells that divide, so treatment would need to be done at the embryonic level. If this new technique is successful in humans, it could offer more therapeutic options to children and adults whose genetic diseases have already progressed. So far, promising strides have been made in gene therapy for diseases such as cystic fibrosis, hemophilia, some neurological disorders, and even cancer, with more than 2,000 clinical trials currently being conducted. For millions of people around the world who suffer from genetic disorders, the hope for a normal life may soon become a real possibility.